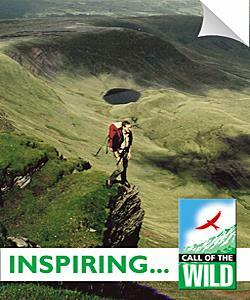 Stunning, breath taking, inspiring - Do you see yourself in Wales hiking and hill walking with Adventure Britain? Adventure Britain's qualified mountain instructors will take you up into the majestic Brecon Beacons so you can experience the wilderness of the National Park. We have the local knowledge so can ensure you maximise your mountain and hill walking experience by using ours. - All inclusive packages with our own accommodation.